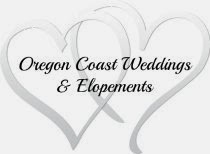 Sure, most people come to our Oregon Coast bed and breakfast for spectacular scenery, great seafood and beautiful sandy beaches. 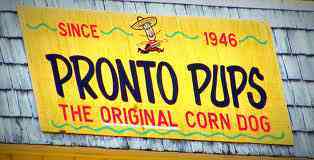 But did you know that between Pacific City and Lincoln City, on Hwy#18 is the home of the best corn dog? Yes, that's the same corn dog you usually have to wait until you're at the fair before you can taste that corny, crispy, beefy goodness! In the town of Otis, just 8 miles west of #101 on hwy18 is the famous Pronto Pups. Open all year long, this place is the mecca of all things fried. Not only do they have the original pup, but there's also the bratwurst pup (my favorite), the Polish pup and the jalapeno pup! Corn dogs are not your thing you say? Well, you can always try the fried pickles, massive amounts of fries, onion rings, seasoned tater tots and of course why stop there? Go ahead and clog the rest of your arteries with deep fried snickers or twinkies! We only indulge in this sinful pleasure about once a year, so we leave all guilt behind and simply just dive in to the hedonist impulse and go for it!